The inability of antiretroviral therapy (ART) to clear HIV infection, and the observation that a sterilizing cure and/or stable remission can be achieved by a subset of ART-treated persons has galvanized the interest to advance clinical strategies towards a cure and/or stable remission. Here, we build on clinical preliminary data from several single agent immunotherapy human trials that indicate a potential to inhibit HIV beyond ART. 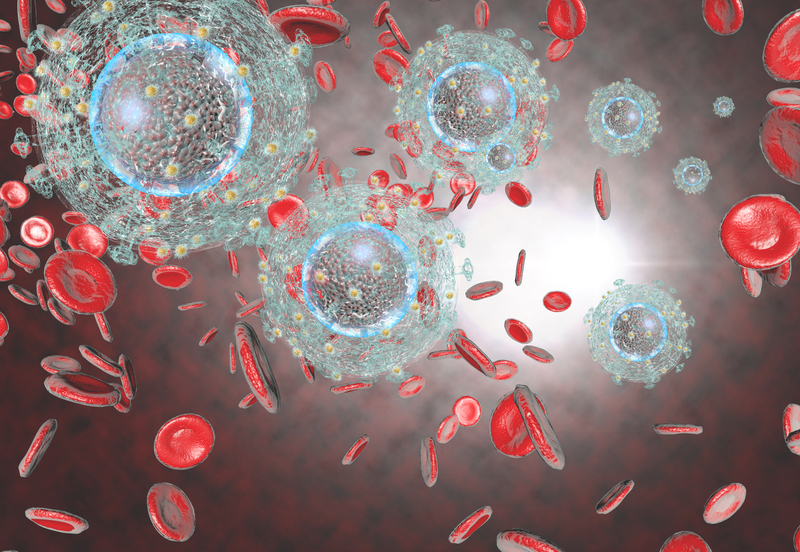 Including scientists from 8 institutions and 4 industry partners, the BEAT-HIV Delaney Collaboratory will seek to develop and test innovative combined immunotherapy strategies to eradicate and/or permanently suppress HIV into remission in the absence of ART. As a part of investigating the mechanism of disease, HIV infection impact on immune function, testing concepts for future study as HIV cure strategies, and immune recovery after ART, researchers at the Wistar Institute, in association with Philadelphia FIGHT and the University of Pennsylvania, are collecting peripheral blood in order to establish a repository of persons living with HIV that can donate blood. Donated blood will be archived and used in HIV immune research. Current HIV-1 therapy (HAART) can control but not cure HIV-1 infection. The overarching scientific theme of this Program is to discover and apply novel approaches and state-of-the-art technologies to protect, direct, and sustain anti-HIV CD4+ T cell responses that can obviate the need for lifelong HAART in HIV-infected patients. Project 1: A Phase I Study Of C34-CXCR4 Modified CD4 T Cells In HIV-1 Infected Individuals Project Leader (PL): Pablo Tebas DESCRIPTION (as provided by applicant): In collaboration with Sangamo, we have previously employed the use of zinc finger nucleases (ZFN) to edit the CCR5 gene to generate HIV resistant CD4+ T cells. Building upon that success, and mindful of it limitations, our study aims to protect CD4 cells by expressing C34- CXCR4 to render them resistant to both R5 and X4 HIV. The hypothesis of our study is that autologous CD4+ T cells genetically modified with an HR2, C34-peptide conjugated to the CXCR4 N-terminus using lentiviral vector will be resistant to HIV infection in vivo in the setting of an analytical treatment interruption and will preserve and enhance an immunological response to HIV. In close collaboration with Projects 2, 3 and 4, and Cores A and B, we will evaluate in vivo C34- CXCR4-modified autologous CD4+T cells with 3 Specific Aims SA1: Complete pre-clinical testing necessary to support manufacturing of C34-CXCR4-modified autologous CD4+T cells. SA2: Conduct a proof of concept clinical trial to determine the safety of C34-CXCR4-modified autologous CD4+T cells in patients with well controlled viral replication. SA3: Evaluate the host and virological response to C34-CXCR4-modified autologous CD4+T cells. For more information, go to ClinicalTrials.gov. The identification and characterization of innovative strategies to reduce integrated HIV-1 DNA by harnessing host-mediated mechanisms are paramount to achieving eradication of HIV-1 without continued ART. This project pursues a strategy already observed to induce reductions in integrated HIV DNA by now reconfirming this activity while: a) determining impact on tissue levels, and b) obtaining added insights as to how it works.